We create the highest quality, hand-crafted custom stained glass for Jewish temples, synagogues, and shuls. While many people consider stained glass to be used primarily in churches, in fact it has a long history of inclusion in Jewish temples of all types: orthodox, reform, conservative, and all others. There are various motifs and themes that are popular in synagogue and temple stained glass. Moses and the Ten Commandments seems to be a particular favorite, as are the many important symbols of Jewish life, including the menorah, the Torah, the Star of David, the flora and fauna of the Holy Land such as an olive branch, and all sorts of creation scenes and scenes depicting figure and stories in the Old Testament. We work with each temple’s rabbi or building committee to create the perfect designs for their mechitzah, windows, doors, ceilings, or other stained glass panels. The glass art any particular temple chooses can be highly traditional in its design and message, or it can be more modern. It can be a literal religious scene or symbol, or it can be simply beautiful, adding color, light and inspiration to the congregation’s experience within the sanctuary. Once your windows have been designed, the next step is to create the blueprint that the builder will follow. We use CAD software for accuracy, and our software can also render a beautiful image of how the new stained glass panels will look once installed in the windows. Our materials are the finest available today. But it is our artisans we are truly proud of. They still cut and assemble each and every piece of glass by hand, soldering the lead joints by hand, and polishing the entire finished panel to a fine luster. 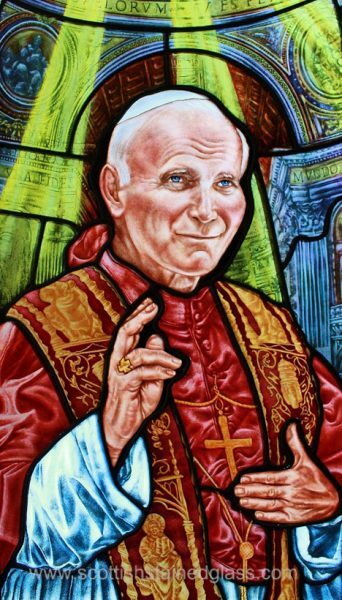 When the temple stained glass windows are installed, we take into consideration the weight of the piece, the location inside the temple, and various other factors. Sometimes we use steel braces for particularly large and heavy windows. And all of our stained glass windows are protected with a sheet of plain glass that protects the stained glass from the elements which can damage it as the years go by. 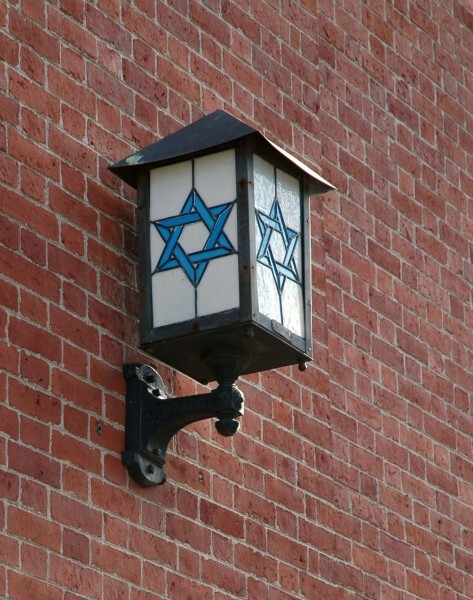 There is synagogue stained glass dating back well over one hundred years, still in existence today. Along with creating new, custom temple stained glass, we also do restorations for any antique or damaged stained glass that needs it. 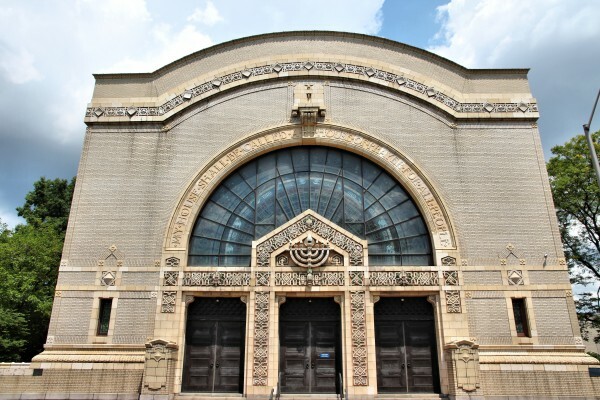 For more information about synagogue and temple stained glass or an appointment with one of our talented designers, please contact Kansas City Stained Glass today.